Harare - The late Oliver's Mtukudzi's relationship with her two daughters from his first marriage was sour - this was not a secret. In 2012, Selmor who has followed his vocal trade made claims that Mtukudzi had failed to support her musical journey as compared to the late Sam. But a few days before his death, the jazz maestro sought to amend all, with touching words to his daughters. A few days later, the global icon passed on. According to ex-wife Melody Murape, Mtukudzi finally apologised for seemingly neglecting his children sired by the estranged wife. ”He said forgive me, my daughters, I have helped a number of musicians, but I have done nothing to you,” he said. Ironically, the late singer is credited with nurturing and having projects with a number of upcoming artists through his Pakare Paye Arts Centre doesn’t have a single project with his own daughter Selmor. 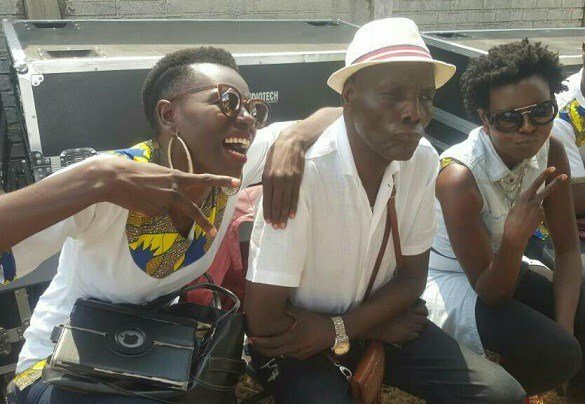 It is no secret that Mtukudzi’s relationship with his daughters with his first wife was on the rocks. Murape confirmed that the late musician had a strained relationship with his daughters but he loved them immensely. Murape said that the reasons why Tuku could not be close to her daughters were well documented. Melody went on to say that Mtukudzi died a free man since he had asked for forgiveness.